Sputnik and Delivery Club have provided a guidebook describing the best restaurants in 11 cities. Volgograd was built at the intersection of trade routes from north to south and from west to east. So it’s small wonder that the local cuisine incorporated dishes from all parts of the world. Today, the city’s restaurants uphold centuries-old traditions. Unlike most chain restaurants, Kuksi House Bar does not serve sushi, or pizza, or burgers: it offers only authentic Korean food, unique and flavorsome. There are no starters, main courses or desserts on the restaurant's Korean menu. All courses are accompanied by steamed rice. In Korea, rice is presoaked and cooked without the addition of herbs or spices. As it is impossible to grasp all the subtleties of the Korean cuisine in one go, the restaurant has adapted Asian dishes to European customs. We recommend you start your meal with kuksi (guksu) or cold broth with noodles. It's perfect to satisfy a hungry football fan, considering that the dish weighs nearly two pounds. Those accustomed to lesser portions should order kuksi light. The bar serves six types of kuksi noodles. Instead of mixed salads, Koreans eat banchan: a set of several small side dishes. For something more substantial, try pigodi (wang mandu): large steamed dumplings from starchy dough, filled with meat, cabbage and spices. Korean desserts are also pretty unusual. There are no animal-based dressing such as mayonnaise or yoghourt, but only plant-based ingredients: rice and olive or corn oil. Like in Russia, tea is served at the end of a meal, only this is special Korean tea: boricha or barley tea. Kuksi House Bar sources barley from local farmers. Barley grains are roasted in a hot pan until they crack open. Roasted grains are brewed three times to give the drink a lighter color. The tea is served with honey. The restaurant opens early in the morning. So you can drop in for a cup of coffee or breakfast. Korean beer and soju vodka will also be available during the World Cup. The original flavor will be accentuated by hot pepper, peas and other Korean snacks. The Fan Fest area on the 62nd Army Embankment is expecting to welcome up to 15,000 visitors on the days of World Cup matches. Just 500 meters away there is the Rice, a restaurant with 127 indoor seats and summer terraces for 70 guests. The restaurant offers an international menu. Italian cuisine is represented by almost twenty varieties of pizza. Do try "derevenskaya" or rustic pizza recommended by the chefs: the traditional ingredients — thin dough with raised edges, bacon and mozzarella — are nicely complemented by smoked chicken, onion chips, boiled potatoes and kebab sauce. The large and hearty pizza is big enough for two. 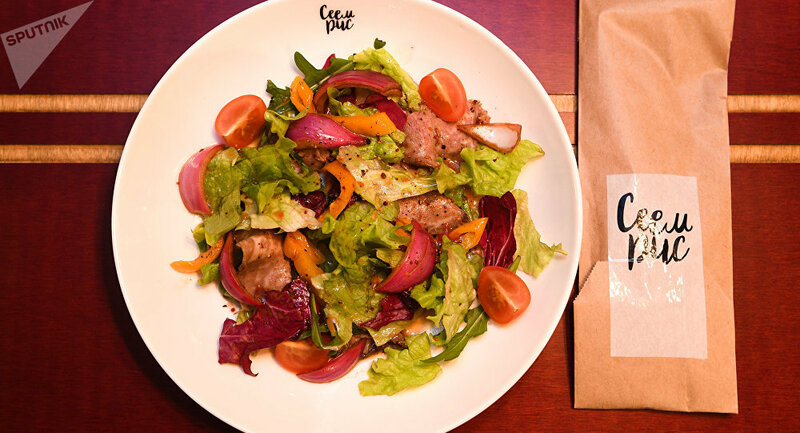 An interesting example of European cuisine is roast beef salad: thinly sliced marble beef, tomatoes, grilled sweet pepper and marinated red onions with a honey-citrus dressing and spicy Sriracha sauce. Sushi and cold and hot rolls are available for lovers of Japanese cuisine. 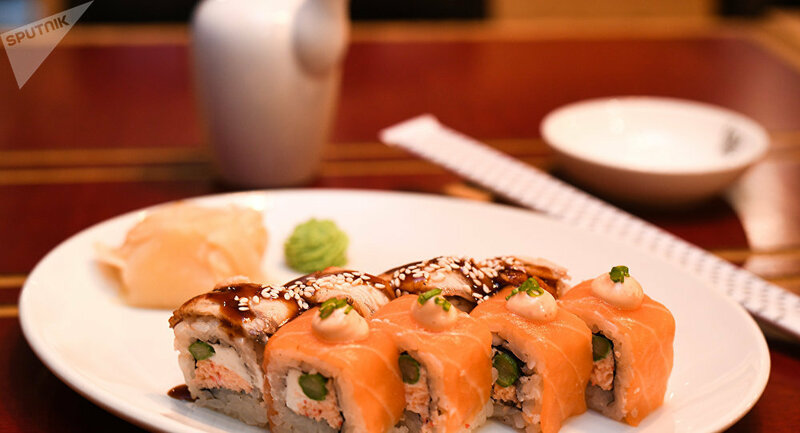 If you ask a waiter to recommend something, the likeliest reply will be "a duo roll with salmon and eel." Besides fish, the recipe also includes chopped surimi meat, green asparagus and onions and a couple of sauces. For those who feel tired after a football match or sightseeing and want to relax at your hotel, Fresh Diets will be an ideal choice. This is not a restaurant or a bar. 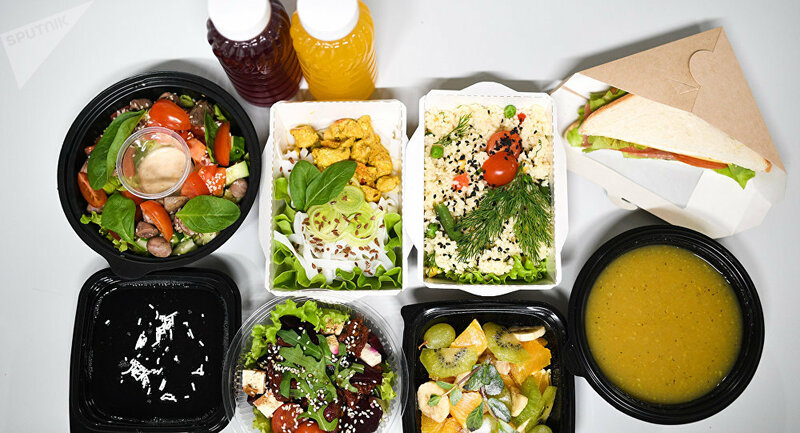 The establishment does not even have a dining hall of its own, but it will quickly deliver healthy and delicious food to your door. Order a hearty King Burger: two beef patties with bacon, caramelized onions and cheese with a special sauce, sandwiched between two whole grain buns, will satisfy your appetite. 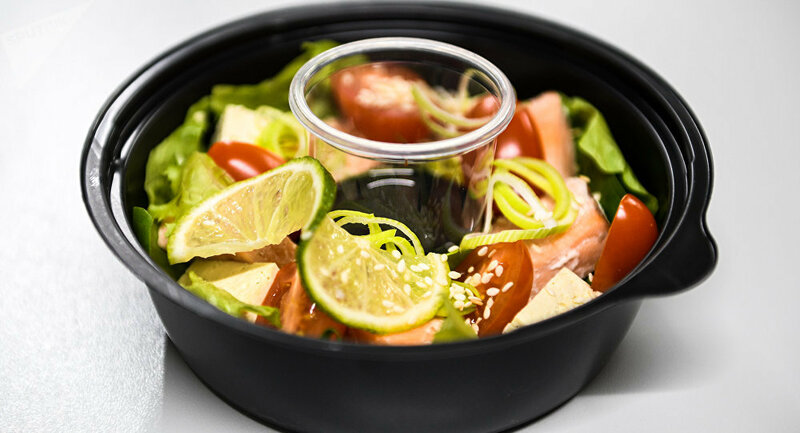 If you prefer fewer calories, try salmon salad: salmon, cherry tomatoes, tofu cheese, lettuce, spinach and arugula dressed with vegetable oil, lime and sesame seeds. The restaurant has several special menus: diet meals for breakfast, lunch and dinner, or just for a snack, with a total amount of calories, proteins, fats and carbohydrates calculated for each meal. All depends on the client's wishes: the meals are vegetarian, others tailored for anyone watching their weight or doing a cleanse. Fresh Diets will put together individual meals even for the most exacting clients. Guests from out of town won't have to bring reserves of diet foods from home as they will have no problem getting everything they need in Volgograd.